UNI-T technology has been included in the construction of this tyre, to advance wet handling and braking. The tyre features deep skid lugs, 3 body ply construction, over-the-shoulder tread/lug design and rim guard off-road protectors. 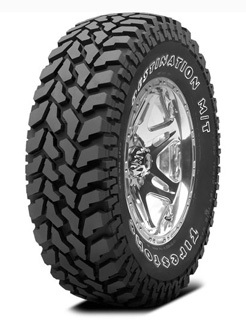 The Destination M/T is also ready to deliver extra grip in winter conditions. All these features add up to a light truck tyre that has what it takes for off-road, all terrain, all season performance.